You’ll start your mornings off on the right foot when you make this quick five minute green smoothie! Some days, I wake up ravenous! Like, I mean I could eat three steaks and a couple of eggs for breakfast, but let’s be real – I can’t be doing that on a daily basis. That’s where this super simple Green Smoothie comes in. Unlike our Healthy Green Detox Juice where you juice out the water and nutrients from the produce and remove most of the indigestible fiber, in green smoothies you use a blender to blend everything together, breaking down all the fiber but leaving it in your smoothie. That means you’ll be satisfied for longer – maybe even until lunchtime! Another flavor addition that I forgot to include in this smoothie are spices, which I normally remember to include but not this morning. Sprinkle in some cinnamon or turmeric for added nutrition and flavor! 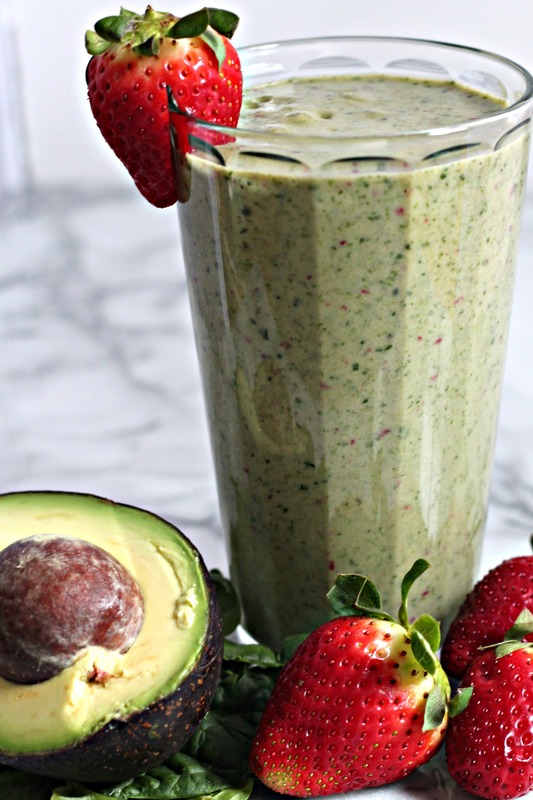 Enjoy this healthy green smoothie! This easy green smoothie is slightly sweet, packed with fiber, and super smooth - perfect for when you wake up starving! Blend the nut milk and spinach until mixed well. Add the rest of the ingredients until smooth.